The lateral meniscus is less commonly injured than the medial meniscus, although injuries to this side are often more serious and recovery can take longer. The blood supply to both menisci is poor, which makes it more difficult for them to heal once they are injured. Meniscal injuries usually happen when the knee is suddenly twisted in a bent position while the foot is still in contact with the floor. This type of injury often happens while playing rugby or football. As we get older, however, the meniscus becomes more brittle and is more likely to tear, even with minimal force (this is known as a degenerate meniscal tear). Following an examination, the diagnosis is usually confirmed with an MRI scan. 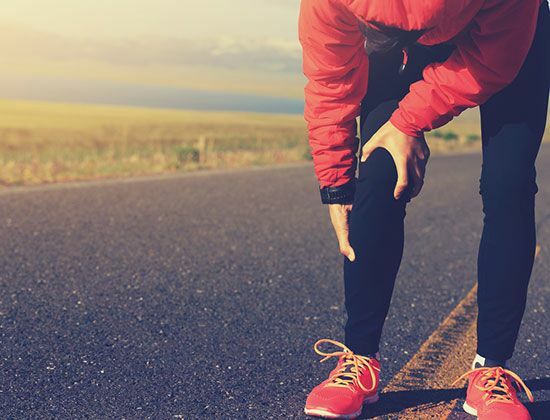 Non-operative treatment: this includes managing swelling and pain with anti-inflammatory medication, along with altering your activity levels to protect the knee from further injury. You will also be shown how to do exercises to help regain the flexibility and strength of the knee. In certain circumstances your doctor may recommend a cortisone injection into the side of the knee under ultrasound guidance. Although this treatment won’t heal the meniscus, it can help the pain to settle and is often tried initially with degenerate tears or if you have osteoarthritis. Surgery: if you need to have surgery, this is usually carried out arthroscopically as a day case procedure under a general anaesthetic. The type of procedure will depend on the extent of the damage and may involve a meniscus repair or partial meniscectomy.